Finnish elections: So close but not enough, vote recount ends in SDP (Marxists) favor…….. – The Tundra Tabloids……. A recount confirmed the legitimacy of a seat that went to the Social Democrats in western Finland’s Satakunta district. The recount followed Sunday’s general election in which the SDP came away with 40 parliamentary seats, barely squeaking past the populist Finns Party, which finished the night with 39 seats. The results of Sunday’s election is scheduled to be confirmed by the Justice Ministry on Wednesday. If just additional 100 votes were to be awarded to Juha Sipilä’s Centre Party in the recount, it could have won an additional seat in the district and the SDP’s elected MPs in the region would have fallen to two. Losing one seat would have meant that the Finns Party and the SDP would have drawn level with 39 seats each overall, although the centre-left party garnered a slightly larger share of the vote than the populists. The Centre meanwhile, would have seen its parliamentary seat count rise to 32. That outcome could have upended the calculus with regard to government formation talks. Chair of the electoral district, Vappu Laukkanen said that it is very rare for recounts to yield any major surprises. She noted that they generally involve a few votes that have either been miscounted due to negligence, or assigned to the wrong candidate. 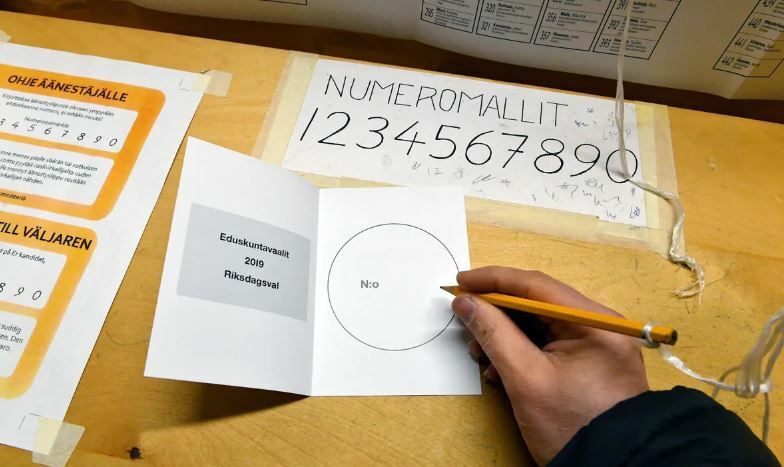 Justice Ministry election director, Arto Jääskeläinen, said that it is extremely uncommon for seats to be re-assigned from one party to another following a recount. However he noted that it is more likely for the votes counted in favour of different candidates from the same party to change. In addition to Satakunta, the situation in the Lapland electoral district was also close. In that case the Greens needed fewer than ten additional votes to sweep one seat from the Centre Party. Based on Sunday night’s results, the Centre Party won three seats in Lapland, followed by the Finns Party, the National Coalition Party, the Social Democratic Party and the Left Alliance, all with one seat each. The election saw government parties with the exception of the National Coalition Party suffer heavy losses, while opposition parties gained additional seats or hold their ground in the parliament..
Edit: Updated at 7.36pm to reflect that the recount confirmed the original result. Previous Post Previous Post Finnish elections: SDP might slip from slim majority to polarity in seats with Finns Party as recount begins in Pori……. Next Post Next Post Robert Hardman: “I walked through the gutted cathedral, then crucifix shone from what remained of the altar, a symbol of defiance in the gloom”…….